Congrats Ariel!!! 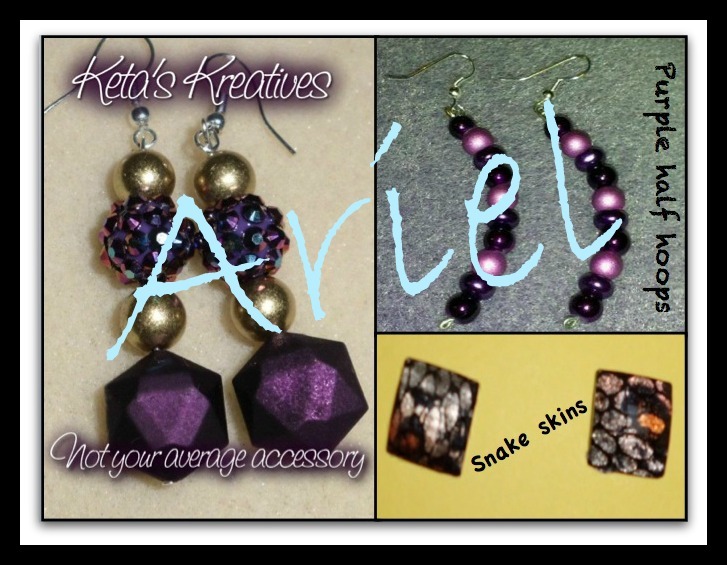 You are the winner of Keta’s Kreatives purple half hoops and the snake skin button earrings. I will email you shortly with details! Thank you to all of those who entered the 1st giveaway for my blog anniversary! I have plenty of more for the month of February so you still have a few chances to win a giveaway. *Anyone can enter my giveaways even if you have won one of my giveaways in the month of February. Good luck and thanks so much for your support!